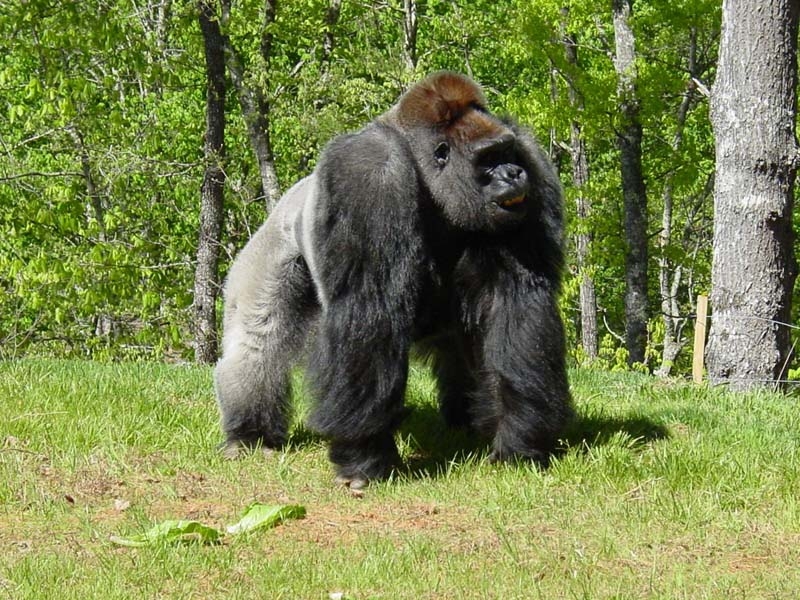 Dewar Wildlife - Gorillas in the north GA mountains! We attended a very special birthday at Dewar Wildlife in the north GA mountains today for Joe. At 49 years old, Joe is the third oldest male gorilla in a zoo setting and is Dewar Wildlife's iconic resident. 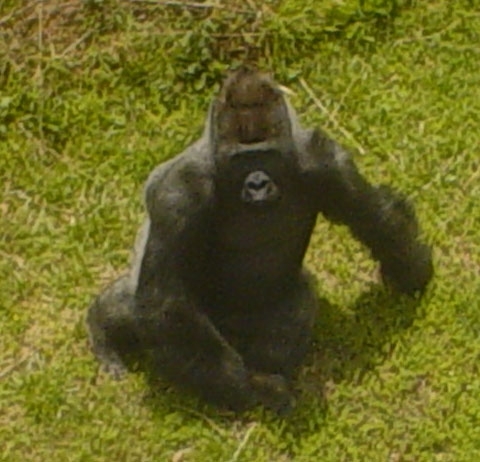 Joe started life in Cameroon, Africa and has spent time in several zoos in the USA, but came to this wildlife facility in 2003 and in spite of his advanced age, enjoys tour visitors and the tranquility of the North Georgia Mountains. 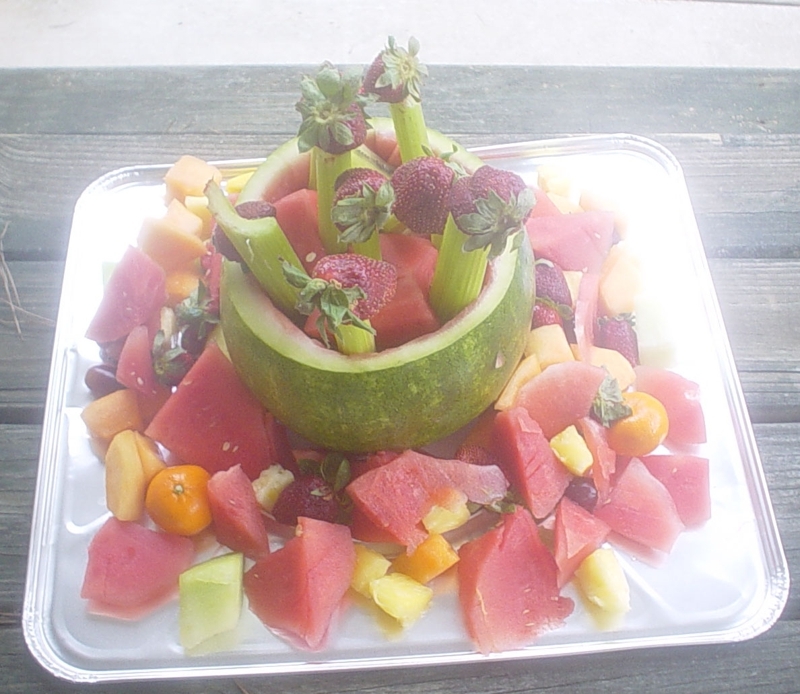 He certainly didn’t mind our group of 13 joining him in his Villa for his fruit birthday cake either! Dewar Wildlife (DW) is an advanced holding facility situated on 100 acres in the North Georgia (Blue Ridge) mountains for zoo gorillas that have special needs with potential facilities for gorillas and keepers in a private, secluded and temperate climate. In addition, the DW property can be used for educational camps or programs in conjunction with schools or universities. We were greeted in the parking area by caretaker/guide Michael and his greeter, Benny the cat and then joined Steuart Dewar and JoBeth for a presentation on Dewar Wildlife Trust. Steuart Dewar has invested millions in the design and development of such an innovative sanctuary for gorillas. Thirty minutes there and we’d already learned so much and now we were on our way to see some gorillas. We stopped in first to see Joe and watch him enjoy his fruit birthday cake. 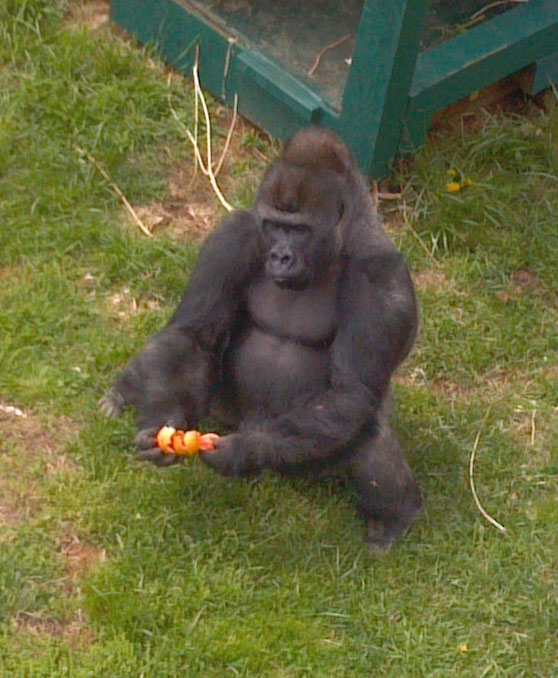 Gorillas are strictly vegetarians. Next it was on to see the other buildings on the facility like the group building, observation, operating room, food prep, etc. and then on to see "The Boys". In February 2012, Willie B. Jr. (also known as Kidogo), the only son of Atlanta's famous Willie B. and his 'buddy' Jasiri, also joined the DW facility. Willie B. Jr and Jasiri, "The Boys" as they're called, are are both 13, going on 14, and they get along well together in spite of their quite different personalities. Physically, Willie B. has a far more pronounced sagittal crest, and looks more like an adult male (silverback) than Jasiri who still has more of the look of a younger blackback. Both of them are settling in well at Dewar Wildlife and their new life here in the North Georgia Mountains. There is also talk of Red Pandas possibly coming to DW in the future. They are especially grateful to Zoo Atlanta for their expression of confidence in working with the DW to house two of their gorillas, especially with Willie B. Jr. being the only son of Atlanta's famous resident gorilla. Overseeing their care and the facility is Zoo Atlanta's, Charles Horton, who personally took care of Willie B. for so many years. It's certainly a wonderful set of circumstances that have resulted in Charles now being associated with both Zoo Atlanta and the Dewar Wildlife Trust where in addition to looking after Joe, he can oversee Willie B. 's son and Jasiri as they spend their active teenage years in the large DW facility and the huge 8.5 acre habitat. We just can’t begin to tell you what an amazing day and opportunity this was for us to visit the Dewar Wildlife facility today! This is a place where you will not only see these gorillas up close and in a beautiful natural setting, but you’ll learn so much too on this very personal tour. It’s one you won’t ever forget or regret.